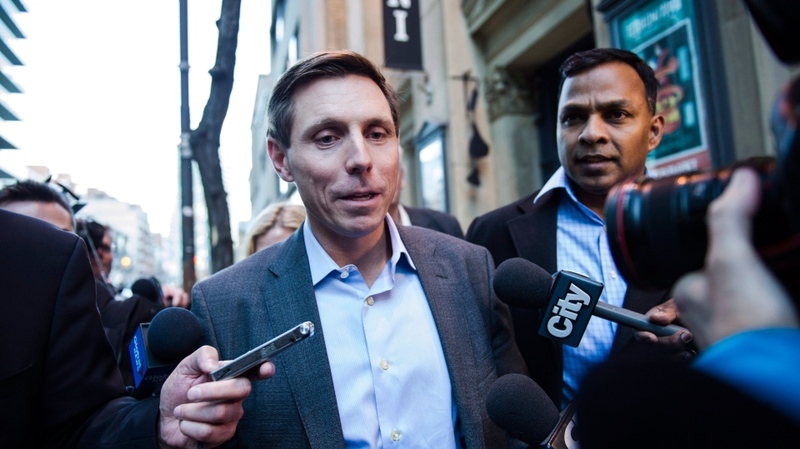 Saying he has proved his innocence after sexual misconduct allegations were levelled against him last month, Patrick Brown has officially entered the race to lead the Progressive Conservative Party, a race that was prompted by his own resignation. He arrived at PC Headquarters around 3 p.m. Friday on the last day where members are allowed to enter their name for the leadership race and emerged a little more than an hour later as the fifth entrant in the race. Joined by two of his sisters and Haldimand-Norfolk PC MPP Toby Barrett, Brown emerged from party offices and told a crush of reporters that he “feels my name has been cleared,” following sexual misconduct allegations made against him in a CTV News report. “This isn’t about me, this isn’t about the PC Party, this is about making sure that on June 7th, the Progressive Conservative Party is successful,” Brown said. He said that the experience of being accused of sexual misconduct and then pushed out of the party he once led was devastating. Since Jan. 24, when CTV News first reported sexual misconduct allegations made against him by two women dating back to his time as a federal MP, Brown has indicated he would sue CTV, questioned the veracity of the statements made by his complainants, underwent and passed a lie detector test issued by the Toronto Sun concerning the allegations and made numerous posts on social media challenging the claims against him. CTV News has always maintained it stands by its reporting. Brown said party members, riding association presidents and volunteers have come forward to show him support. 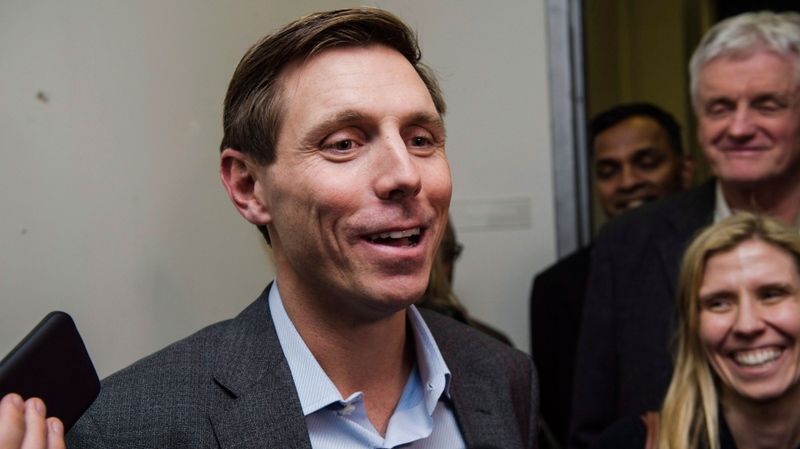 Rumours swirled Friday that he would in fact enter the leadership race in a bid to take back his former job as the leader of the Ontario PC party. By 4:20 p.m., the Elections Ontario website listed him as the fifth candidate to enter the race. Other leadership candidates have taken to Twitter to react to the news. Caroline Mulroney tweeted that while it’s up to the party to decide who can seek the leadership, it was not right for Brown to run. Christine Elliott, another leadership contender, released a statement to media, simply saying, "With fewer than 100 days, now is a time for unity. I am the leader that can unite the party and beat Kathleen Wynne." Doug Ford said “the Ontario Progressive Conservative Party is objectively stronger without Patrick Brown,” saying that membership and fundraising totals have been up since he stepped down. Brown deflected criticism from the other leadership candidates. He said the popularity of his Peoples’ Guarantee platform among party members demanded that he stay in the fray. Earlier on Friday before he had a chance to officially enter the race, Brown was forcibly removed from the party's caucus. “Shortly after becoming interim leader, I asked Patrick Brown to step aside from the PC Caucus. The legislature is set to resume sitting on Tuesday February 20th following Family Day. Earlier today, Mr. Brown was notified that he has been removed from the PC Caucus effective immediately," Interim Leader Vic Fedeli said in a written statement sent out to media. Fedeli’s announcement come after a brief audio recording of Brown during a conference call with the party caucus the night the allegations became public, was leaked online. CTV News Toronto obtained an audio recording of Brown informing members of caucus that he was resigning as leader of the Progressive Conservative party. The recording was obtained on Friday morning, one day after Global News aired an interview with Brown in which he appeared to suggest that he never actually resigned as party leader. “The resignation was actually sent out on my behalf without my permission at the time,” Brown said. He then calmly offers his resignation to caucus. Brown’s resignation statement was later posted to the Ontario PC party website just before 1:30 a.m. 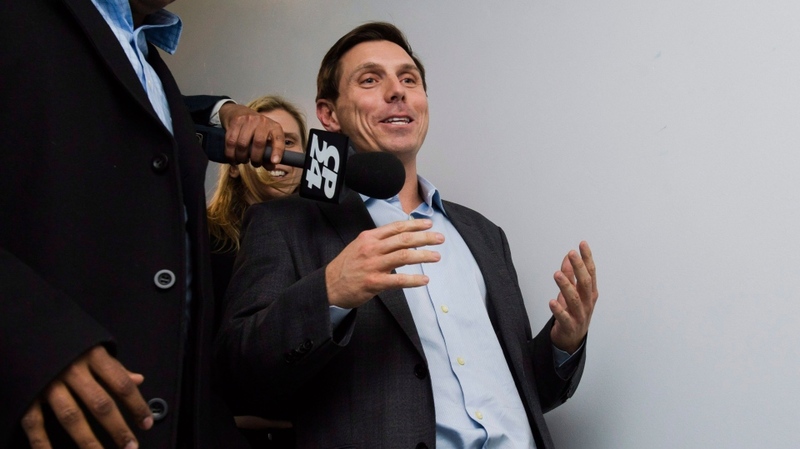 There were two reports published on Thursday citing sources who said that Brown believes he never actually resigned as leader of the PC party, though he did take to Twitter to distance himself from the reports. “I appreciate the enthusiasm but I did not authorize this. 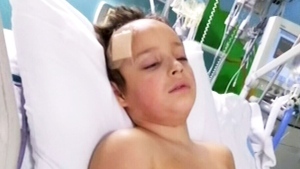 I am solely focused on clearing my name, not technicalities,” he said. Brown wouldn’t respond to questions from reporters about the resignation who asked him to clarify the contradicting information. He would only say he would answer all questions at an event tomorrow. Details of that event have not yet been made public. The PC Party’s Leadership Election Organizing Committee told CTV News Toronto that Brown filed all the appropriate documents, collected enough signatures and paid the $125,000 filing fee in full. "Mr. Brown's application will follow the same due process in the same manner as the other four declared candidates," PC Party president Jag Badwal said in a news release. The Liberals commented on Friday's developments, saying the race was meaningless. "It really doesn’t matter who they elect to lead them. 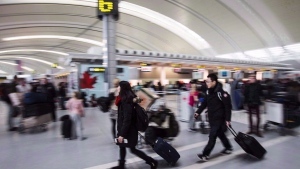 What’s clear is there is nothing progressive about this Conservative party given their plans to roll-back the increase in the minimum wage to $15 and their billions in planned cuts to health care, education and the services Ontarian’s depend on," outgoing Liberal cabinet minister Deb Matthews said in a statement released Friday evening. CP24 is a division of Bell Media, which is the parent company of CTV. 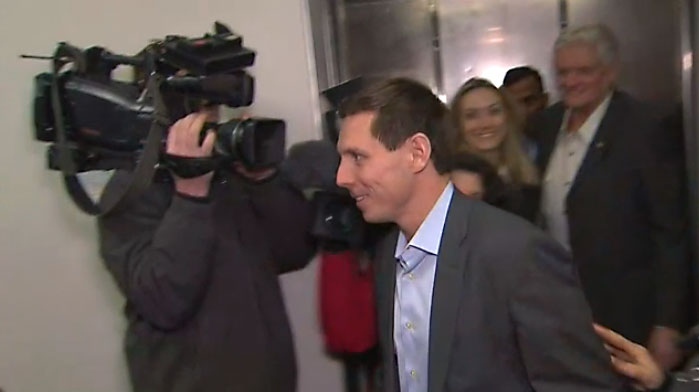 Patrick Brown arrives at Ontario PC Party headquarters in Toronto on Feb. 16, 2018.